Do you know a police officer who deserves your thanks or praise? Let that policeman and policewoman know that they are appreciated. Is your husband, father or grandfather a policeman? 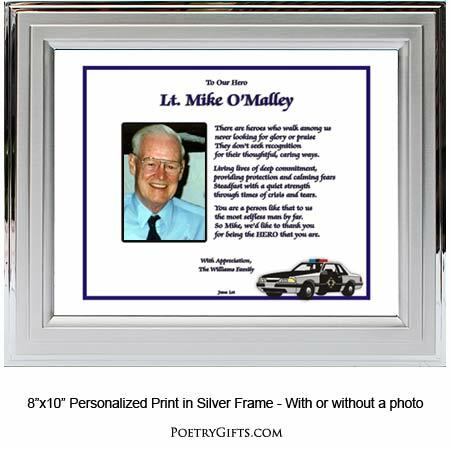 This personalized Poetry Gift will make a wonderful customized birthday or retirement gift. Police Officers are Everyday Heroes! 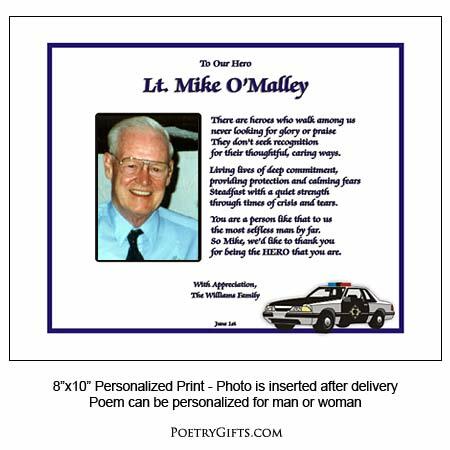 If you are lucky enough to have an outstanding policeman or policewoman in your family or in your circle of friends, why not honor them with this original Policeman Poetry Gift. 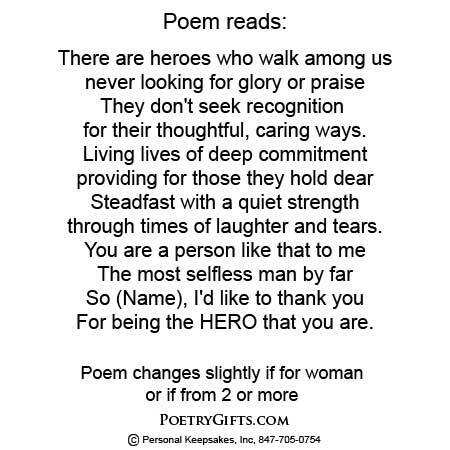 He or she will be touched by the wording of this heartfelt poem and also by your thoughtfulness. 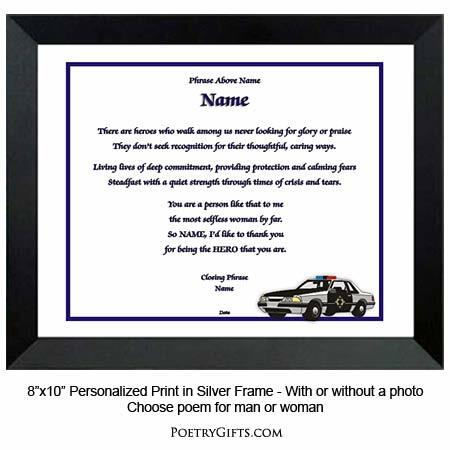 A unique personalized gift for a policeman or policewoman. See Personalization questions above to create a special gift for your hero! 6. Closing Phrase and Your Name(s) (as seen after poem) - (Examples: Thank You For Everything, The Kelly Family; Love Always, Your Family; All My Love, Meghan; We're So Proud of You, Mom & Dad; etc.)"